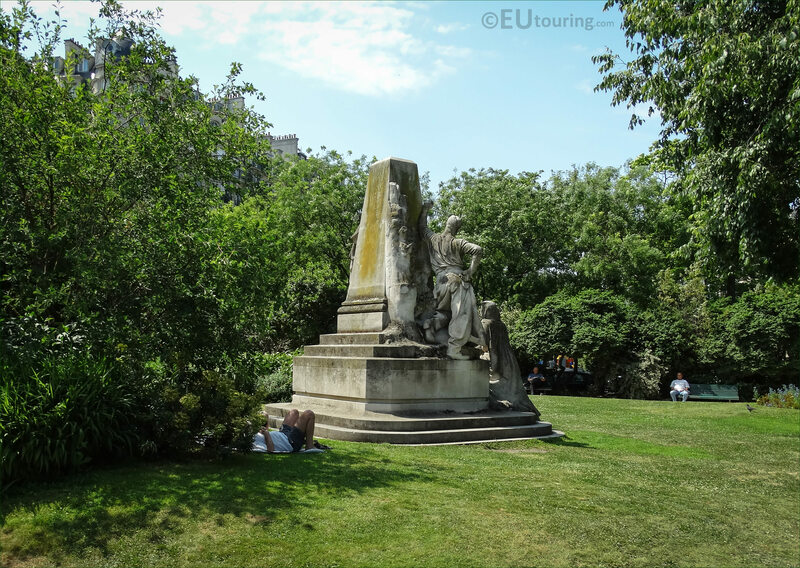 This time we were in the 14th Arrondissement of Paris within the Square Claude-Nicolas Ledoux at the Place Denfert Rochereau, when we took these high definition photos of a statue group called the Monument to Ludovic Trarieux. 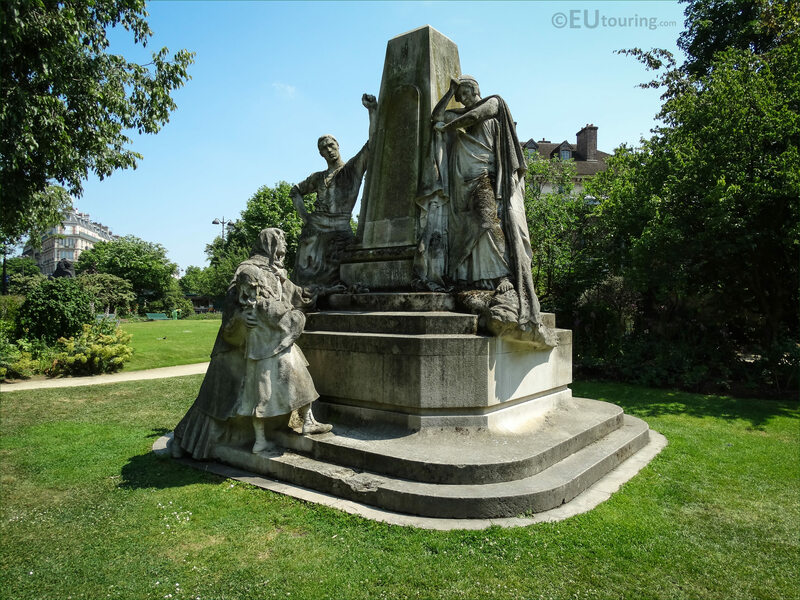 This first HD photo shows the whole monument, which is a large statue group made of stone that was originally designed by the architect V Lesage and it was produced by the French sculptor Jean Boucher and is dedicated to Ludovic Trarieux. 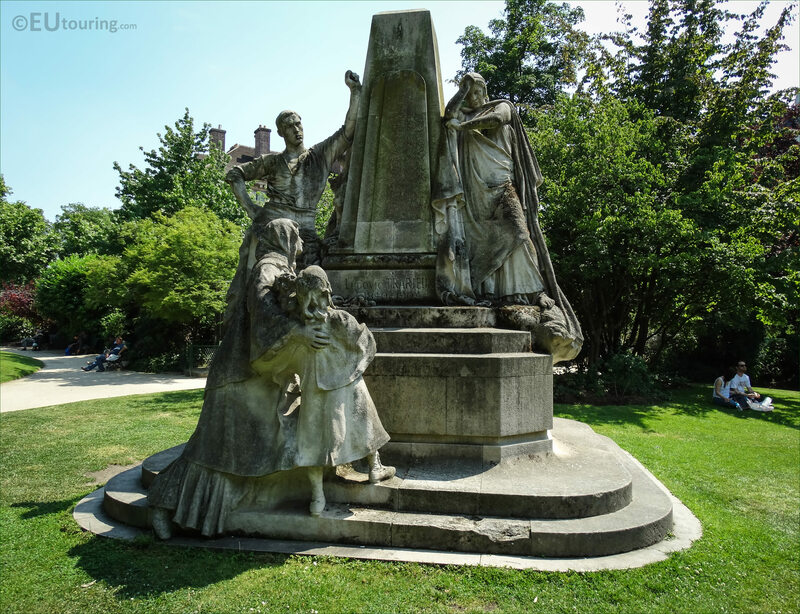 Now this monumental statue originally had a bronze bust of Ludovic Trarieux when it was first inaugurated in 1907 within the Square Claude-Nicolas Ledoux, and this was positioned on the top of the column, or stele as this type of monument is often called, although this has long since gone. 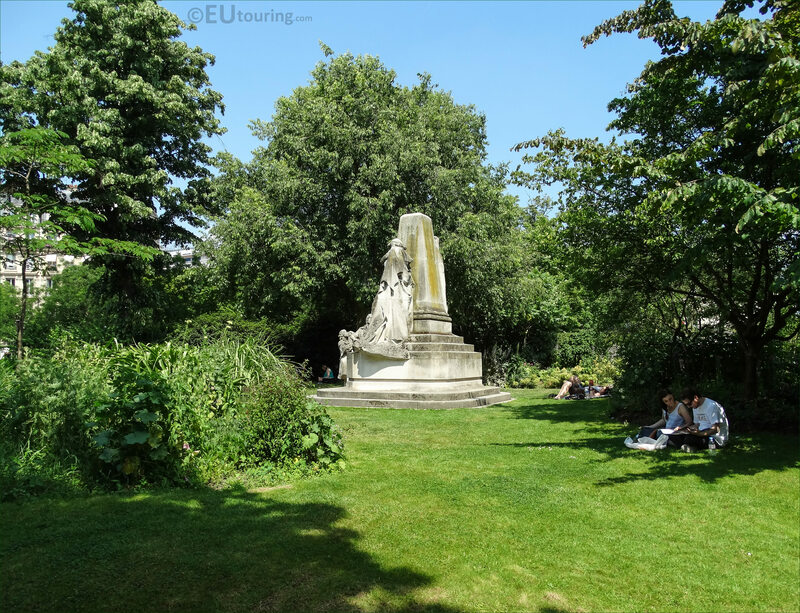 In fact, the bronze bust was one of numerous different statues that were melted down during the Nazi occupation of Paris in World War II, and it has never been replaced, so all that remains are the stone statue groups, some of which you can see in this image. 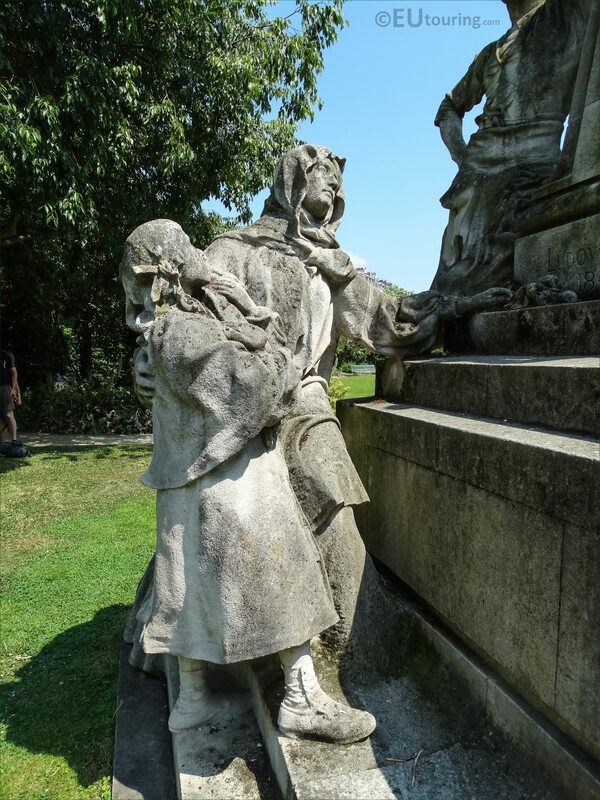 Now in this image you can see a close up of one particular statue group on the Monument to Ludovic Trarieux, which in French is also called the Monument en hommage a Ludovic Trarieux, which is located to the front and designed as though they are going up the steps. 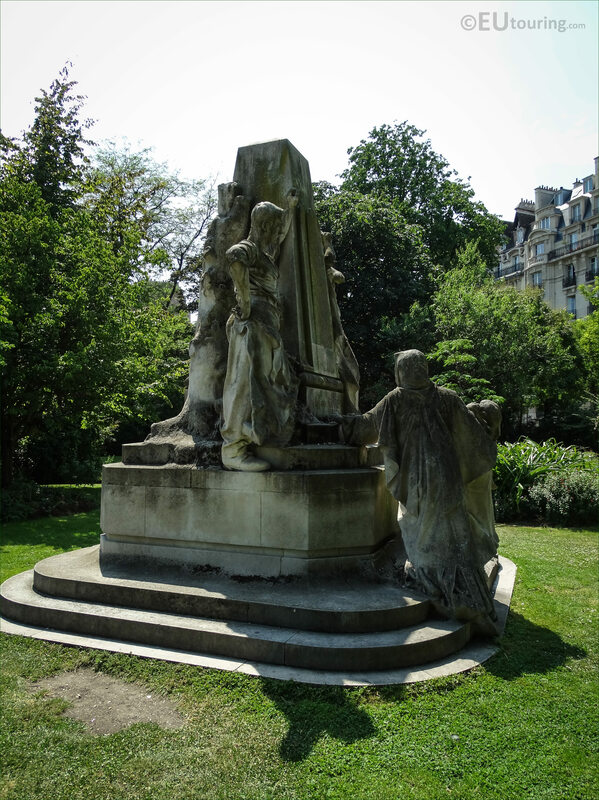 Yet this next image shows another statue next to the central column, which was produced by Jean Boucher who was born on 20th November 1870, and becoming a French sculptor, he is most well known for his public memorial sculptures and monuments that can be found in numerous places throughout Paris and France. 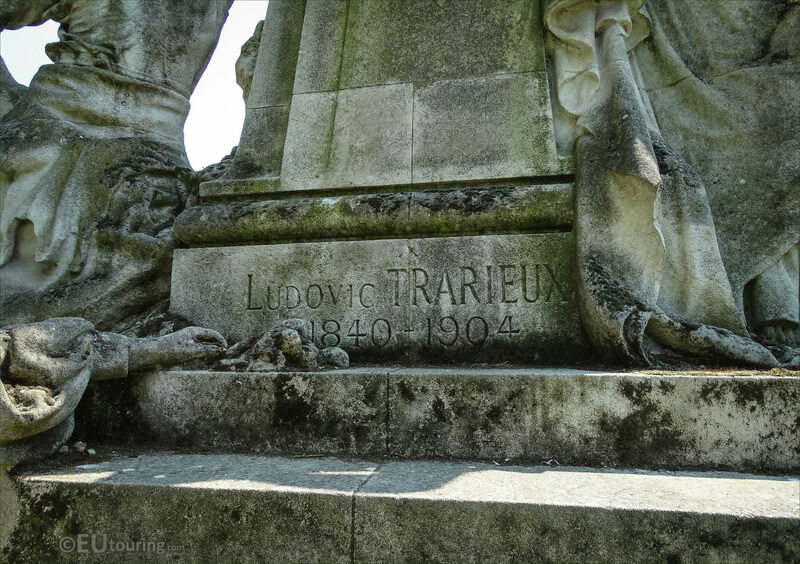 And this next close up high definition photo shows the inscription at the base of the column, or stele, which as you can see is dedicated to Ludovic Trarieux, who was born on 30th November 1840, and becoming a lawyer, he was first called to the bar in 1862 and elected President of the Bar in Bordeaux in 1877. 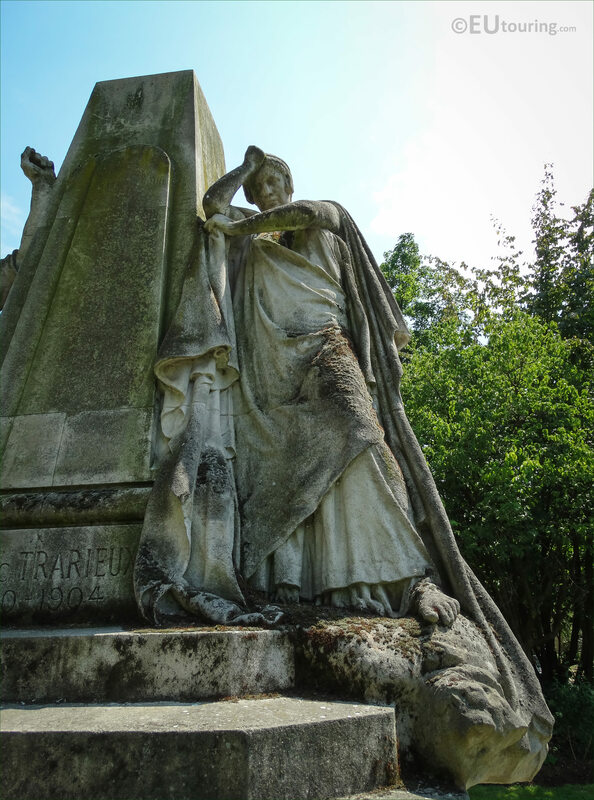 But Trarieux also had a political career that he pursued when he was called to the Parisian Bar in 1881, and in 1885 he became the Minister of Justice, but it was during the Dreyfus case and the trial of Emile Zola, that he thought about creating the Human Rights League, and it was eventually formed in 1898 with Ludovic Trarieux as the President. 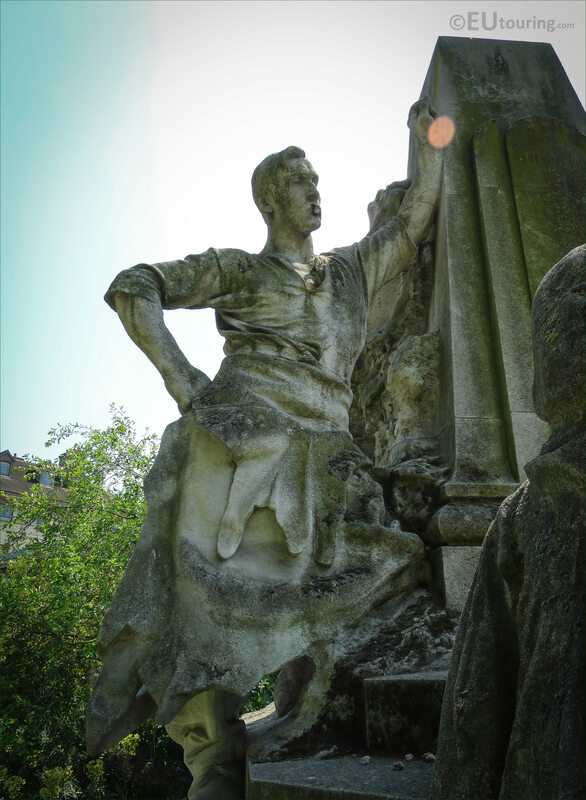 So this next image shows just the statue to the left hand side of the central column on the Monument en hommage a Ludovic Trarieux, and all of these additional stone statues were designed by V Lesage and sculpted by Jean Boucher to depict the Human Rights League, known in French as the Ligue des Droits de l'Homme. It was on the 4th July 1898 that the first manifesto of the League of Human Rights publicly announced that; From this day, anyone whose liberty is threatened or whose rights are violated can be assured of obtaining help and assistance from us, yet by 1903, his exhaustive efforts caused ill health and he had to resign as the president of the league. 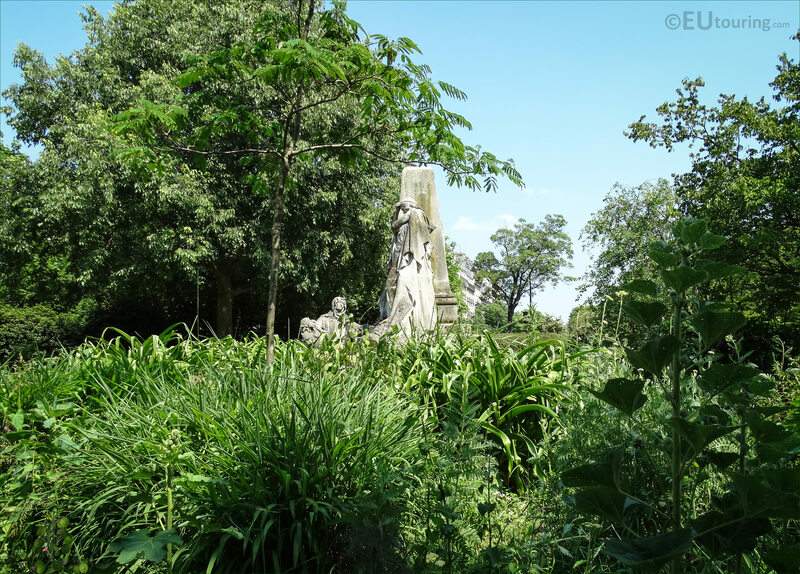 Yet as you can see from this photograph, the monument still stands proud within the garden, and Ludovic Trarieux concentrated on the Dreyfus Affair case and the protection of people's human rights until he passed away in Paris on 13th March 1904. 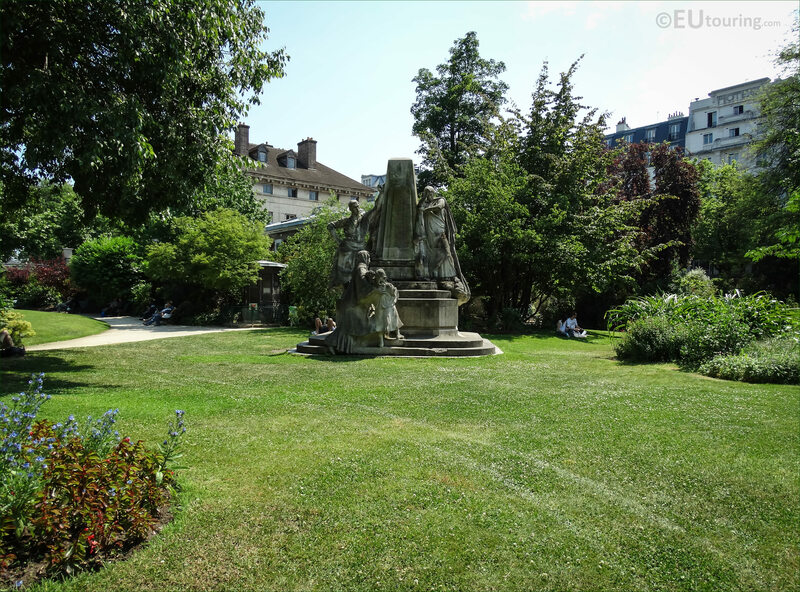 But as you can see in this last image the Square Claude-Nicolas Ledoux is a beautiful garden to relax in, close to the monumental statue even without its bronze bust, yet his legacy still lives on, and incredibly, in 1984 the Ludovic Trarieux International Human Rights Prize was created, and this was first awarded to Nelson Mandela on 29th March 1985.